Thudguard is a protected and patented product. 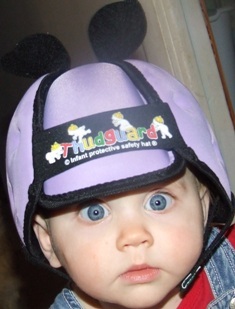 Thudguard has taken nearly 10 years to complete because of the extensive research and development to make it the best and safest infant protective hat possible. Over the years, Thudguard has been fortunate enough to have had the top safety and medical experts involved with its progress, ensuring babies and toddlers were delivered its promise to protect. Your child deserves the best. Accept no substitutes.